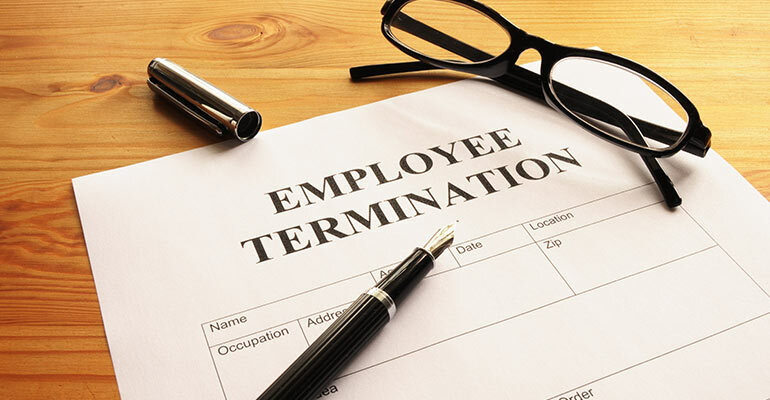 Wrongfully Terminated: Were You Illegally Fired from Your Job? You’re Fired. But Were You Wrongfully Terminated? It’s not as clear-cut as you might think. Your former boss was a petty tyrant who fired you last week for no good reason. You have a history of terrific performance reviews, were never late to work, and always did your best to be courteous to customers and clients. Clearly, what he did was unfair, and you think you’ve got a shot at winning a wrongful termination lawsuit against him. Do you? Unfortunately, probably not. It’s not easy to win this kind of lawsuit in Florida, largely because there’s no general “wrongful termination” statute here. Florida is what is known as an “at-will” state, which basically means that your employer can fire you for almost any reason, or even no reason at all. If your boss decides he doesn’t like the color of your socks or that he’s tired of you filling the office with the smell of microwave popcorn every afternoon, he’s most likely within his rights to let you go if that’s what he wants to do. However, workers do have some protection from wrongful termination in Florida. This protection comes from a patchwork of statutes – at both the state and federal level – that are designed to address certain employment-related situations. Specifically, employees in Florida cannot be legally fired for discriminatory reasons, in violation of an employment contract, or in retaliation for exercising one’s rights. Let’s look at each of these a bit more closely. Most of these types of discrimination are covered by both state and federal law, although a few of them are only covered by one or the other. But it’s important to remember that these restrictions don’t necessarily apply to all employers. If you have a contract with your employer that outlines the terms of your employment, then you may be able to take legal action against your employer if you are fired. Of course, that will depend on the specific terms of your contract, as well as the details of your termination. Just having a contract doesn’t automatically give you this kind of protection – your employer has to fire you in a way that violates the contract in some way. For example, let’s say your contract specifies that your employer can only fire you for cause. If one day she decides to fire you without giving you a valid reason, you would probably have a good case to bring against her. Employers have been known to use the threat of termination to keep employees in line, or to encourage them to look the other way when it comes to the company’s bad behavior. This is illegal, and depending on the details of the situation, it’s covered by either the federal Fair Labor Standards Act or the Florida Whistleblowers Act. For example, your employer might try to fire you for complaining to a regulatory agency about being required to work unpaid overtime. This is a clear-cut example of retaliatory termination, and violates the Fair Labor Standards Act. Or perhaps you happen to know that your employer is not disposing of hazardous material in an approved manner. If you decide to file a report with the appropriate agency and your employer finds out about it, the Florida Whistleblowers Act says you cannot be fired because of it. There are also other exceptions that don’t fall neatly into any of these three categories. I know this is probably discouraging news for some of you, but it’s best to know what you’re up against right from the start. Winning a wrongful termination lawsuit in Florida is an uphill battle, but it can be done. Your first step should be to consult a qualified and experienced law firm specializing in employment law. Wenzel Fenton Cabassa, PA has helped hundreds of Tampa Bay residents when their employers have violated their rights. Call 813-579-2483 to speak confidentially with one of our attorneys today.